Every year, the Night of Kostanjevica takes place on the third weekend in July. This entertaining event with musical guests attracts each year thousands of visitors. 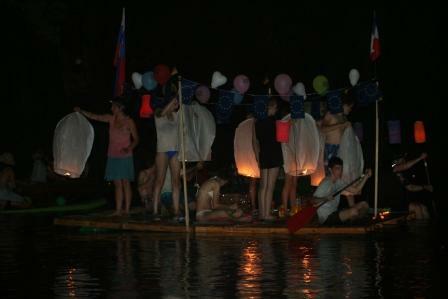 During the Night of Kostanjevica there is a parade of ornamented boats, led by a raft with the music band of Kostanjevica on it. 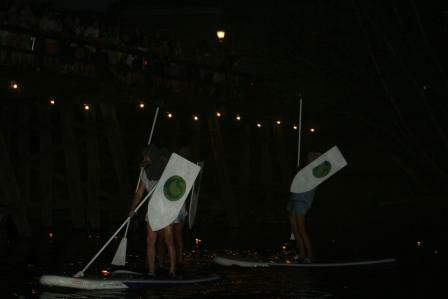 Around 21 o’clock the boats, SUPs, rafts and other vessels go down the river, under the southern bridge, parading for all visitors standing on the bridge and on the riverside. For a better scenery, they also let a thousand eggshells with little candles inside down the river. At midnight, the sky lights up with magnificent fireworks. The music band then carries on the party until dawn. In any case, it’s an event worth seeing.